A difficult opening hole into the prevailing wind. The tee shot should be kept to the left half of the narrow fairway which swings gently to the right. This leaves a clear view of the green, past bunkers short and right. 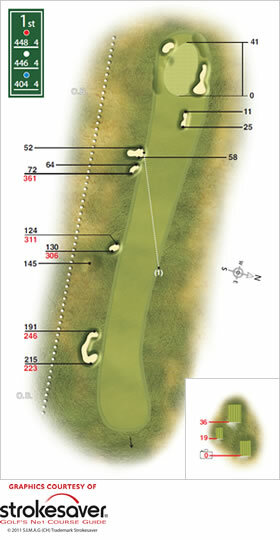 The green merges with the fairway and is essentially flat.